Jamieson's 2-ply Spindrift from the Shetland Isles. Traditionally used for Fair Isle sweaters, tams, vests and shawls. 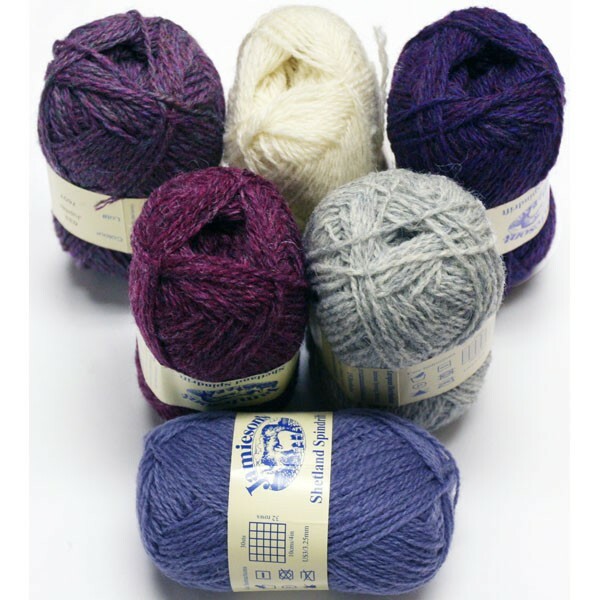 Material: 100% Shetland Wool, Jumperweight Weight: 25 gram ball Yardage: 115 yds. Approx. Gauge: 6-10 sts to 1 inch over stocking-stitch; 3-5 stitches to 1 inch for lace. Price: $6.95 per ball. Choose the quantity for each color you wish to order and click Add to Cart at the bottom of the page. Colors are listed in order of appearance on the Spin-Drift Sample Card, with a few exceptions at top for colors we carry that Jamieson has dropped. Click to order a sample card of all colors.